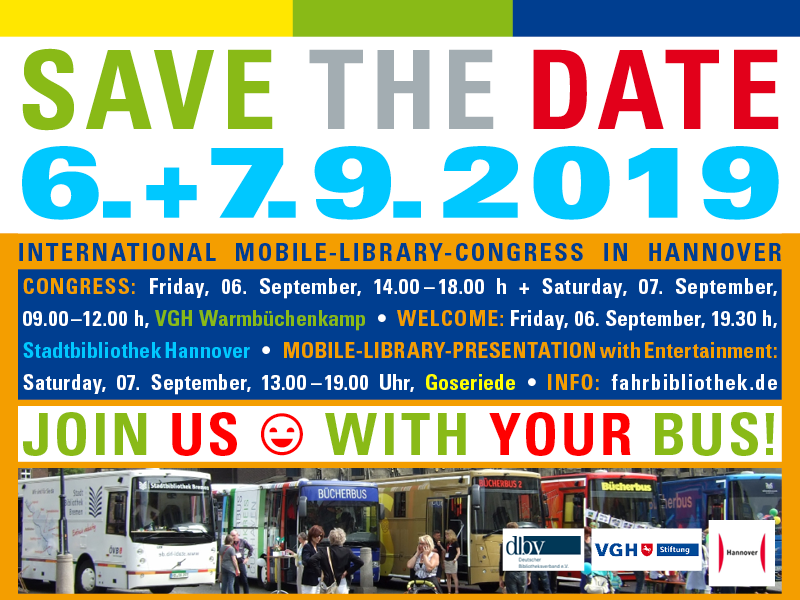 Finally the time has come: In September 2019, the „Deutscher Bibliotheksverband e.V.“ (dbv) will organize an international mobile library meeting together with the VGH-Foundation and the city of Hanover. Further information can be found in the next few months at a special website-section on fahrbibliothek.de. From March 2019 you and perhaps your vehicle can register for this event. Please clarify a vehicle participation in time with your superiors and holders. We can accommodate about 30 bookmobiles.